Hafez Omar, the young Tulkarm-based artist and activist, is the man behind many of the images we have come to associate with online Palestinian and Arab revolutionary campaigns--from the hunger striker Khader Adnan's stencil with a lock for a mouth to the late Egyptian Azharite Sheikh Emad Effat killed by the military police in Cairo in December. 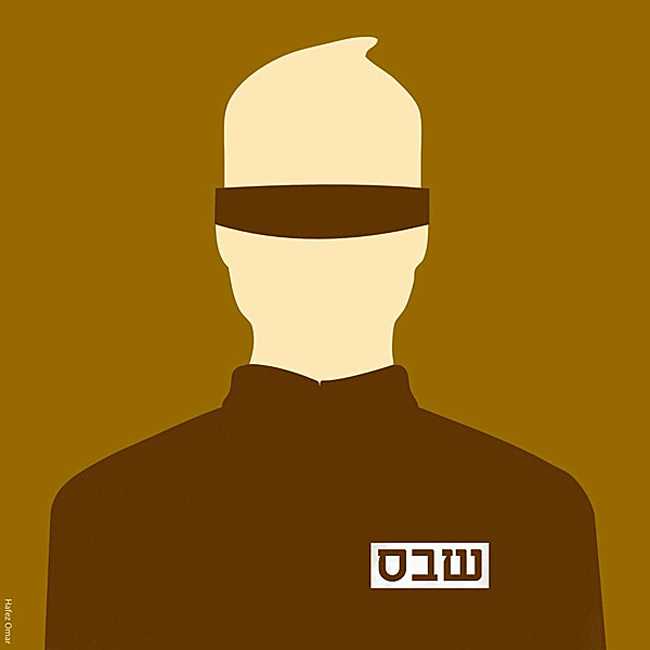 His most recent design, that of a faceless, blindfolded Palestinian prisoner became a Facebook sensation as thousands adopted it and other variations of the image to raise awareness about the countless prisoners observing a hunger strike in Israeli jails in protest of harsh conditions and inhumane detention procedures. Within 24-hours of posting the image on his Facebook page Hitan, Omar's design became a meme across the globe, prompting variations from Egypt and Syria to Ireland and the United States. In this first-time exclusive and extended interview, Hafez Omar reflects on art, activism, and the plight of the Palestinians. From the role of dissident art to the social media, he discusses his posters and designs in support of the Tunisian and Egyptian revolutions and the growing networks of solidarity between youth across borders and boundaries.